The important role Nurse Practitioners (NPs) play only grows as the rights of NPs change. NPs are leaving a global impact by treating patients in other countries who wouldn’t normally have access to the kind of comprehensive healthcare an NP can provide. Ferdie Dijoto understands the need for better access to medical care first-hand, and if she gets her way, NPs will play an even bigger role in providing that care. 1. We know you're originally from Africa. When did you move to the United States and why? I am originally from Cameroon (West-central Africa) and my prior education was in French. I moved to the United States of America 15 years ago for a better future and standard of living for my family and me. 2. Tell us what it was like growing up with a father who is a Physician Assistant. Growing up with a father who played a huge role in helping people with their healthcare issues was extremely inspiring. My grandmother also inspired me. She was a dedicated midwife. Most evenings and weekends, many of our neighbors waited on my father in my childhood home for assistance with their acute and chronic health issues. He joyfully helped everyone (mostly for free). His work ethic and his love for the work he did were contagious and selfless. Growing up with him, I always prayed to have the same energy, drive and dedication to help people in need. 3. What made you decide to pursue a career as an NP? When I graduated from high school in Cameroon, there was only one medical school. Due to this limitation, it was a widely known fact that the admission process for the only medical school was corrupted and reserved only for famous and wealthy families. I applied twice but was unsuccessful despite being a qualified candidate. I was extremely disappointed. Following the advice of my college counselor, I majored in biochemistry with the hope to work in medical research upon graduation. During my second year in college, I also volunteered with non-profit organizations for the fight against Human Immunodeficiency Virus and Acquired Immune Deficiency Syndrome (HIV/AIDS). I spent most weekends traveling to many villages educating the population about HIV/AIDS as well as other sexually transmitted diseases (STDs). When I moved to the USA, I worked as a research assistant. However, there was no fulfillment. I always felt like something was missing. After taking a few pre-requisites, I was admitted at Georgetown University where I graduated with a Bachelor of Science in Nursing. I worked as a critical care nurse, clinical informaticist and a performance improvement/quality nurse. However, the following motivated me to want to become an NP: - I am always eager to learn more because, in nursing, opportunities for personal and professional betterment are endless. - The U.S. population is aging, living longer and in need of more primary care services and providers. - I also want to become a change agent to help reform the healthcare system and bridge the healthcare gap in Cameroon. 4. What is your favorite part about being an NP? There are several reasons I like being an NP. My favorite part is building long-lasting relationships with my patients. Also, I like the emphasis on healthcare prevention including holistic health education. When a person is treated as a whole, it leads to increased compliance and better outcomes. 5. What do you hope to do or see within your profession in the next 10 years? NPs are compassionate, caring, skilled and capable of diagnosing and treating many acute and chronic conditions. I am hoping that NPs in the State of Oklahoma (just like 21 other states in our country) will have gained full prescriptive authority within the full scope of their practice. NPs are well educated, trained and ready to work independently from physicians. My personal goal is to graduate in two years with a Clinical Doctorate of Nursing from Oklahoma City University, work to gain more experience, be a part of health care policymakers and open my own clinic. 6. Tell us about the most rewarding experience you've had in your practice. It is always a blessing to see patients recover from an illness or healthcare crisis, or seeing patients motivated to adopt healthy choices in order to maintain a healthy lifestyle. 7. What would you like to say to someone considering a career as an NP? Go for it. The sooner, the better. There are many ways to impact the patients that entrust their healthcare needs to us. This also impacts the community in which we live in. In light of the global impact NPs can make, it’s more important than ever that our legislators give NPs the right to practice without the oversight of a physician. Change agents like Ferdie are the catalysts we need to advance the field and allow us to make a difference not only abroad, but also in our own backyard. When you combine rural Oklahoma and a specialty such as mental health, you find there aren’t a lot of options available. Ellen Huffmaster wants to change that. As a family psychiatric mental health nurse practitioner, Ellen believes NPs can play a significant role in providing services to those living in rural areas that they might not otherwise have access, and she is especially passionate about the role NPs can play in the mental health community. We recently spoke with Ellen about why she became an NP and how she hopes to see the NP’s role grow in Oklahoma. 1. Why did you decide to pursue a career as an NP? I decided to become an NP after being a RN for more than 17 years. I saw a huge gap in psychiatric services being delivered to individuals in my community. Enid is not a small town, but it did not have adequate psychiatric services. There were plenty of counselors, but medication management was a huge gap. Local family doctors, NPs or physician assistants were left to manage psychiatric medications or individuals had to drive to Tulsa or Oklahoma City to see a psychiatrist or PMHNP. This left many adults and children with inadequate services for managing their psychiatric medications. This was my primary passion for deciding to return to school. 2. How did you decide to specialize as a family mental health psychiatric NP? I knew that this was the one area of specialties that was lacking professionals. At the time I started school, I believe there were only about 12 NPs with psychiatric specialty training. 3. How would you like to see your profession change over the next 10 years? I would love to see more NPs specializing in psychiatry. I believe that independent practice is essential for the role of NPs to be fully utilized in Oklahoma. Many states have already adapted to full practice authority. Oklahoma needs to work quickly on this. Independent practice would have allowed me to open a practice in Enid, Oklahoma. Right now there is not a full time psychiatrist in Enid, which has kept me from expanding available services. The limited number of psychiatrists in our region limits expanding services under the current rules and regulations for NPs. 4. Tell us about the most rewarding experiences you’ve had in your practice. The most rewarding thing in practicing psychiatry is seeing an individual change emotionally and physically. I have had patients thank me for adjusting their medications to the point of being able to function better in society. Mental health treatment changes individuals. It can open the door for people who feared being around others to becoming a professional with a full time job. My patients make my job worth all of the stress on a regular basis. I love my job. 5. You have a passion for the role NPs play in mental health and other specialties. Tell us about that. The ability of NPs to specialize allows us to provide quality care in many areas of practice that are currently underserved. The specialty programs in NP training allow NPs to focus on certain areas of practice. This increases the number of specialists that are available in communities both urban and rural. Specialties are always needed especially in rural areas. I envision NPs providing more specialty services in the underserved areas in the future. This will increase access to care for patients, which is vital to keeping Oklahoma healthy. 6. What would you like to say to someone considering a career as an NP? Go for it. Be dedicated and determined to providing quality care to your patients. Know that it will take a lot of work, time and dedication to complete, but it is worth it. Being an NP has been a great privilege for me. My family has had to make a lot of sacrifices, but overall the job satisfaction is worth all of the struggles. Ellen has made it clear that rural health care is in crisis. There are not enough options for specialized health care, especially when it comes to mental health, in small towns and farming communities across our state. Patients have to drive too far to get their hands on the treatments and medications they need to live full and meaningful lives. Oklahoma’s shortage of rural specialty health care providers will only continue to limit access as populations grow. It’s essential NPs be granted the opportunity to build independent practices in their communities. Spreading the Message - We Need Your Stories! The Association of Oklahoma Nurse Practitioners has an important mission. We need to spread the news of the importance of nurse practitioners in the health care system. This is why we need you – we need your stories! We all want a better health care system, and the power to change the system lies with the public and with our local legislators. When we have a wealth of stories illustrating how NPs are vital to the health care system, we can place the stories in front of legislators and the public. If you have a story about helping a patient receive care who wasn’t able to see a doctor, we want to know your story. If you are giving care to patients in rural areas who are not able to see a physician, let us know. If you know a fellow NP who has gone above and beyond to help a patient, tell us about them. If you are passionate about nurse practitioners having full practice authority, we want to hear you. We intend to spread the message far and wide. We’ll use our blogs, newsletters and social media pages to publish your stories. We want everyone in Oklahoma to know how vital NPs are to health care in Oklahoma. Help us spread the message – send us your story today! Nurse practitioners have always helped patients receive care more easily. Today, there is a growing gap between the number of patients who need primary care and the number and availability of primary care providers. Many patients are waiting longer than they should to receive care due to inaccessibility to primary care physicians. Often, physicians decide in medical school to specialize. This has left a gap in the primary care setting and has presented an opportunity for advanced practice nurses. Although the advanced practice degrees include specialty pathways the most common are family and pediatrics. Nurse practitioners are more available, uniquely qualified and carefully trained in bedside patient care. As health care advances across the country, nurse practitioners will continue to play a vital role in primary care. As you know, Medicaid rates are on the verge of being cut an additional 25 percent due to the state’s budget shortfall. That would bring rates down to 61 percent of the Medicare rate. Even if you are not personally reimbursed by Medicaid, this rate cut will negatively affect every individual and every community across Oklahoma as hospital and clinics are forced to lay off staff or shut their doors. As we’ve been urging, we need you to write your legislators! Ask them to support the Medicaid Rebalancing Act and to vote in favor of the tobacco tax increase. If you don’t know who represents you in the legislature, you can find that information here. 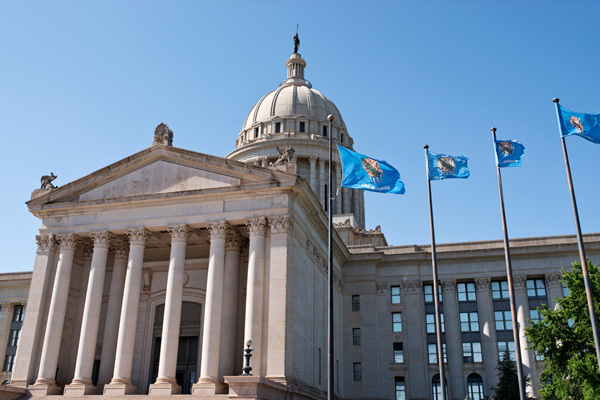 AONP is working with the Oklahoma Nurses Association to encourage legislators to support the proposed Medicaid Rebalancing Act. Nico Gomez met with us several weeks ago to discuss this proposal, and that presentation can be found here. · How long can you endure these cuts and still provide services? · What percentage of your patients are on Medicaid? · How many of those are children, young mothers, the elderly or disabled? · How many jobs might be lost as your workplace absorbs the cuts? · How will this affect access to care in your community? · Where will your neighbors seek medical care and how far will they have to drive for primary, emergency or specialty health care? · If the local hospital or clinic is forced to close, how will this affect other businesses and the community as a whole? One in every 3 Oklahomans is enrolled in Medicaid. These cuts will be catastrophic to the health care infrastructure in Oklahoma. We must act, and we must act quickly, to educate lawmakers about the consequences of these cuts and motivate them to work together to find a solution! We saw so many APRNs help represent us at the Oklahoma State Capitol, but we also understand that much of the work APRNs do in Oklahoma happens in all corners of the state. 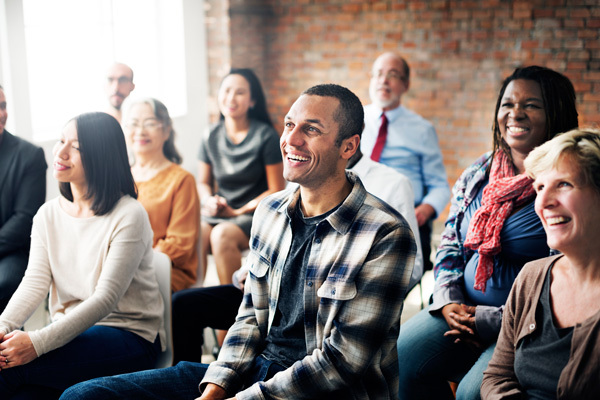 To help build solidarity amongst APRNs across the state, AONP has scheduled town hall meetings in nine cities across Oklahoma. These meeting will give APRNs the opportunity to visit with colleagues from throughout their region and get the latest information on legislative issues and updates on the plan for next legislative session. We will also discuss Medicaid proposals from the Oklahoma Health Care Authority, AONP membership, grassroots lobbying and answer your professional and political questions. Invite all of your APRN friends. These meetings will be open to all APRNs regardless of whether or not they are AONP members. Holiday Inn Hotel, 10020 E 81stSt. Holiday Inn Express, 3825 E Mail St.
Holiday Inn Express, 3333 Williams Ave.
Any APRN in Oklahoma may attend any or all of the meetings they desire. We will see you there! Ryan is an active 7-year-old boy. If he’s not studying moves in his Jiu Jitsu class, you might find him playing with his dogs or near a Minecraft controller. Ryan’s mom Amber Knapp is what you might call a health nut. As a beachbody instructor and personal trainer, she is the kind of person who watches the health and wellness of her family very carefully. You shouldn’t be surprised that, for her son’s primary care provider, Amber turns to a nurse practitioner. There are many caring mothers in Oklahoma who also choose a nurse practitioner for primary care. If you are one of those moms, tell us your story! Contact us and follow our Facebook page to join a community of NPs and supporters. As many of you have heard, HB 2841 has been assigned to the Appropriations and Budget (A&B) Health Subcommittee. So far, Dr. Doug Cox has not agreed to hear the bill, but we still have time to speak with legislators before the deadline. We currently have almost 20 co-authors and we ask that you continue to reach out to your state representatives. The more co-authors we have, the better chance we have of our bill being heard. We are not going to give up on full practice authority! Many of our AONP members have been asking questions about the bill and the best ways to help the bill. We’ve put together a list of frequently asked questions about HB 2841, and an update of its progress. Who are the co-authors of HB 2841? We have had many requests for a current list of co-authors for HB2841. The path of a bill and the paperwork and verification of the process surrounding it takes time. The list of co-authors will continue to change as more representatives agree to sign-on. Bear with us as we try to keep this list current. You can view the most updated list of co-authors here, or check in on our AONP Facebook page. What hospitals and other organizations support HB 2841? So far, the current list of hospitals and organizations that support HB 2841 includes St. Francis Tulsa, St. Anthony OKC, Tulsa University School of Nursing, Southwestern Medical Center, St. John Trauma Center and Duncan Regional Hospital. Visit our updated list of supporters for the latest update to this list. The deadline for reporting House bills and joint resolutions from House committees is Friday, Feb. 26. Right now, contacting your state representatives and explaining the importance of HB 2841 is the best thing you can do. After talking with a legislator, let Benny Vanatta know, so he can follow up with that legislator. Avoid negative or sarcastic speech that can be seen as offensive. Also avoid creating additional messaging platforms that can confuse the public. We want to present a united front against the opposition of this bill, and to do that we need to stick to official messaging and lobbying efforts. What is our AONP leadership doing to help? Our leadership has met with many members of committee assigned to the bill, including Dr. Cox himself. We have met with many organizations including the Oklahoma Rural Hospital Association, Oklahoma Health Care Authority and many of Oklahoma’s legislators. We will continue to promote HB 2841 at the Oklahoma Capitol and across the state. We appreciate your continued help in fighting for the #RightToPractice. We’ve hit our first challenge and need your help! Our bill allowing for full practice authority, HB 2841, is assigned to the Appropriations and Budget (A&B) Health Subcommittee, chaired by Rep. Doug Cox. So far, Rep. Cox has not agreed to hear the bill. This is discouraging, but we still have three weeks to do everything we can to get that bill out of committee. We currently have almost 20 co-authors and we ask that you continue to reach out to your state representatives. The more co-authors we have, the better chance we have of our bill being heard. Don’t forget to also contact your local hospital administrator to ask for their support. We are not going to give up on full practice authority! Remember that even if you disagree with a legislator, respect and courtesy are vital. We want legislators to be our friends and help us. A legislator will always defend one of their colleagues, so attacking one may turn others against our cause. Letters to legislators work best when they have a personal touch, but to get you started here's a letter template. To find your local House member, follow this link: http://www.oklegislature.gov/FindMyLegislature2.aspx?State=OK. Working together, we can bring this issue to the attention of all our legislators and improve every Oklahoman’s access to quality, affordable care. 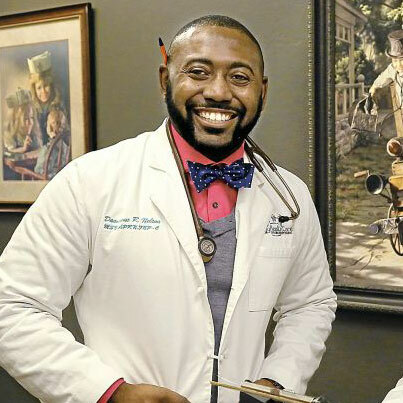 Damarcus Nelson has been selected to receive the AANP Advocate State Award for Excellence. This prestigious award is given annually to a dedicated NP advocate in each state who has promoted the NP role and patient access to care. Damarcus Nelson has been practicing in Oklahoma since 2012 with Family Healthcare and Minor Emergency. "We service a large area of patients from Piedmont to Oklahoma City. Currently we have three clinics to service the surrounding patient population. Our practice is NP owned and operated. We see a large amount of Soonercare, commercial, and DDSD patients. Currently I act as a lead provider and many patients call me their PCP (primary care provider). I wake up everyday loving what I do and treating every patient like they are family. I welcome what the future has in store for NPs throughout the state of Oklahoma." We congratulate Damarcus Nelson and share in the excitement for what the future has in store for NPs throughout the state of Oklahoma!